Hello there, I hope you find our articles very interesting and helpful! Well, today I am going to be taking another interesting topic on how to change thumbs up on Facebook messenger. I am sure this topic would astonish some of you and I am also certain you would be perplexed after reading this. Here is a brief overview of Facebook messenger derived from Wikipedia: Facebook Messenger is a messaging app platform. Originally developed as Facebook chat in 2008, the company revamped its messaging service in 2010, and subsequently released standalone iOS and Android apps in August 2011. Facebook messenger being a messaging app as we all know has a lot of amazing features that we enjoy daily, some of these features include, video and vocal conversations(calls) for both groups and individuals, emoji’s, gifs, stickers and a lot more. 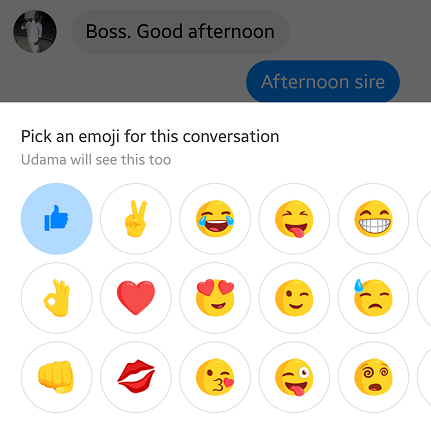 Specifically, I am going to be talking about the “thumbs up” emoji that appears on the top right-hand side just above your keypad while typing in messenger. Have you ever taken note of this “thumbs up”? And perhaps you haven’t been able to explore its full modification features? Probably you never even had an idea that the emoji that appears there can be changed to another emoji of your choice. I got complaints from friends telling me how often they mistakenly use the “thumbs up” emoji while typing fast with their mobile device and they find this really disturbing, they send “thumbs up” emoji accidentally while messaging, to worsen it, in most cases this emoji doesn’t collate with the ongoing conversation. As a result of this complaints, I am compelled to share this article on how to change thumbs up on Facebook messenger. 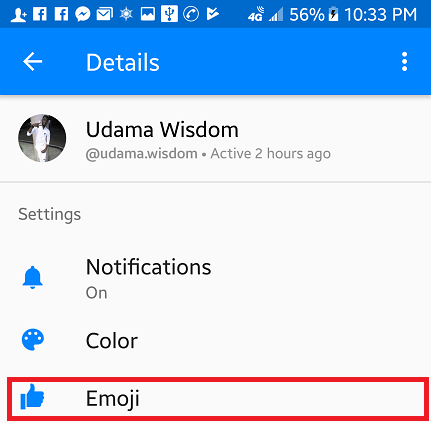 So if you are faced with the same challenge or you probably just want to explore full options of the messenger app especially the emoji features, then this article is for you. 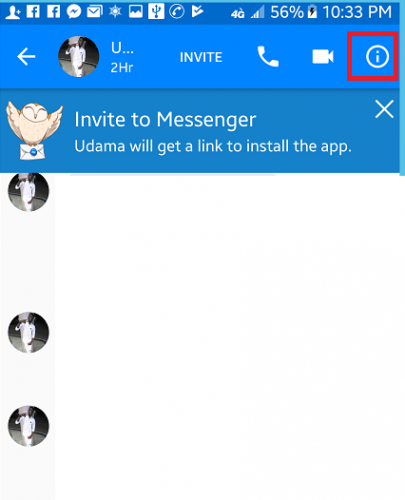 Without further ado, I will show you the steps on how to change thumbs up on Facebook messenger. 1. Launch your messenger app and start a chat. 2. Click on the circled (i) located at the top right of your screen. 4. Scroll and select an emoji of your choice. 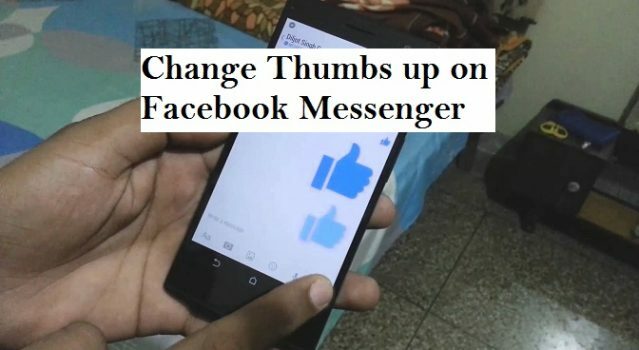 If you have followed this steps, then your question on how to change thumbs up on Facebook messenger is already answered. After you have done this, you would get a notification message “you set the emoji to”, this notification will appear just below the last message in your conversation. After you have set a new emoji, you would be shown the emoji you have set. Also, there is a “change” option just beside the notification message you would receive that can help you change to another emoji if you are not satisfied with the emoji you have selected. Q: Is there a limit to how many times I can change the “thumbs up” emoji? A: No, there is no limit, you can keep changing the “thumbs up” emoji as much as you desire. Q: If I change the default emoji will it set my new emoji as the default emoji for all chats? A: No it won’t, you have to manually set your preferred emoji for each chat on Facebook messenger.